Randsburg, April 28.—Randsburg, Johannesburg, Atolia and the desert section tributary will after today be deprived of daily mail, newspaper, freight, and express service, by order of the federal control of railroads, express, and mail services. The news came as distinct surprise and shock to the general mining and business interests in the desert section served by the three towns. Under the new order, unless abrogated or modified, mail service will be delivered three times each week. 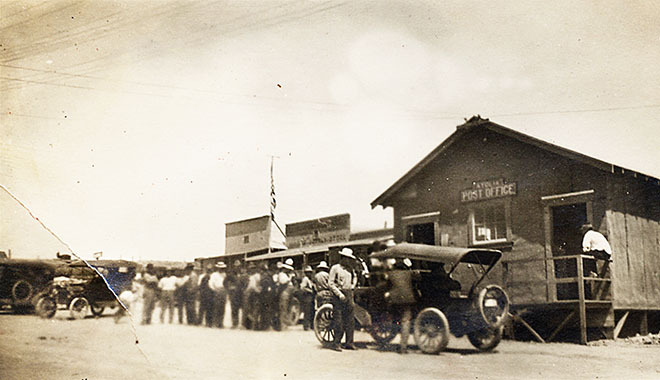 A move is on foot to have the mail, freight, express, and newspapers delivered from Mojave by motor truck, which now seems to be the only way to obtain daily service.